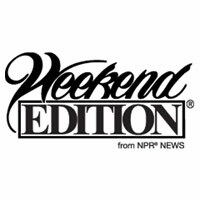 Saturday mornings are made for Weekend Edition Saturday, the program wraps up the week’s news and offers a mix of analysis and features on a wide range of topics, including arts, sports, entertainment, and human interest stories. The two-hour program is hosted by NPR’s Peabody Award-winning . Weekend Edition Saturday has a unique and entertaining roster of other regular contributors. Marin Alsop, conductor of the Baltimore Symphony Orchestra, talks about music. , one of the biggest names in children’s literature, talks about and reads stories with Simon. Financial journalist Joe Nocera follows the economy. Howard Bryant of EPSN.com and NPR’s chime in on sports. Keith Devlin, of Stanford University, unravels the mystery of math, and Will Grozier, a London cabbie, talks about good books that have just been released, and what well-read people leave in the back of his taxi. Simon contributes his own , which are sometimes humorous, sometimes poignant.